Encounter the ever-changing dunescapes of Sossusvlei. 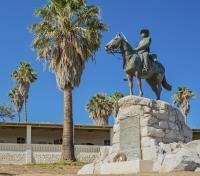 Explore seaside Swakopmund, a slice of Bavaria on the edge of the desert. Delve into the bush at Etosha National Park to spot lions, elephants, and rhinos. 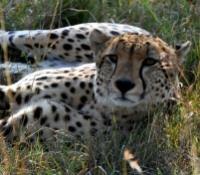 Visit a cheetah rehabilitation center on a private tour of the facility. Discover the Skeleton Coast from the sky by plane. Spend your nights in a curated collection of hotels and luxury lodges. Upon arrival at Hosea Kutako (Windhoek International) airport, you will be met by your guide and transferred to the capital of Namibia for check-in at your hotel. After check-in at the accommodation establishment, you will be taken on a city tour. Windhoek is a city of many contrasts. Modern skyscrapers blend with historic buildings dating from the turn of the century. Several buildings from the German colonial era have been preserved and restored to fulfill useful functions in the community today. Some of the sights you will see on your tour are the Ride Memorial, the Old Fort, the Parliament Building (also known as the “Ink Place”), the Lutheran Church, the Railway Station and many more. The Olive Exclusive the first ultra-luxurious sanctuary of its kind in the Namibian capital. 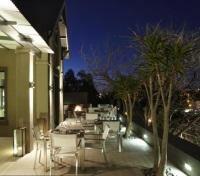 It is cool, contemporary and stylish but with a warm heart and authentic African soul. Its sleek, modern lines are complemented by organic textures, natural furnishings, an eco-friendly approach and dedicated personal service. Simple elegance is key, from the organic rough-hewn wooden benches and side tables, through the sculpted chunk of granite that serves as a coffee table in the guest lounge, to walls clad in abstract Namibian landscapes by well-known South African designer and photographer Micky Hoyle. This morning you'll leave the capital of Namibia, Windhoek in a northerly direction via Okahandja to Okonjima Lodge, home of the Africat Foundation, a non‐profit organisation dedicated to the conservation and protection of Namibian wild cats, in particular leopard and cheetah. Enjoy the opportunity to admire and photograph these predators. 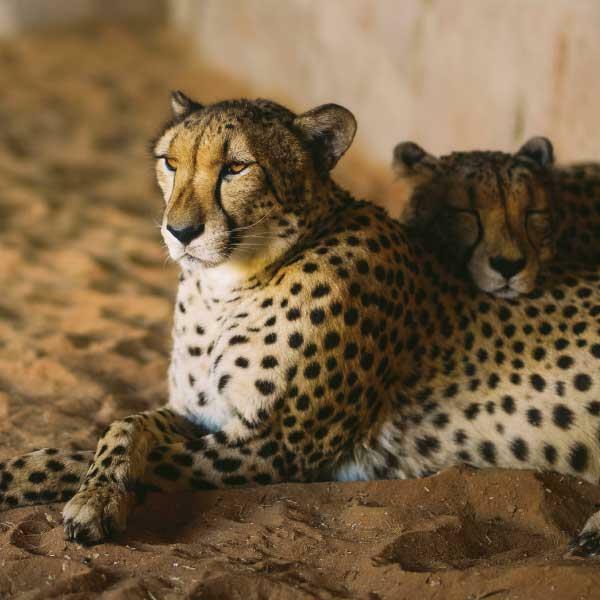 Tour the Cheetah Conservancy Fund’s main facility, complete with an education center, museum, clinic and creamery, then visit the cheetahs, dogs and livestock that live at the main center. Learn about the day-to-day activities, initiatives and ground breaking research underway at the CCF, which aims to be the foremost center in the conservation of cheetahs and their ecosystems, while getting up close with these magnificent creatures. Babson House is a rustic retreat found outside of Otjiwarongo, Namibia, and serves as the ideal accommodation for intrepid travelers exploring the Cheetah Conservation Fund Field Research Center. With lodgings for up six guests spread across three comfortable rooms, each with a private en-suite bathroom, the guesthouse also features a spacious living room with comfy leather couches and a large verandah looking out to the surrounding veldt and Waterberg Plateau; the perfect place to enjoy a sundowner. Lunch is served on the veranda, dinner at a dining room table underneath an impressive wildlife-themed chandelier. Of course, the most rewarding aspect of a stay at Babson House is that cheetahs are never far away; often they can by spied just feet from the house. Today you'll have access to your vehicle and guide. You can discuss all of the possibilities with your guide. All park or entrance fees can be paid direct. Alongside a resident facilitator with the Cheetah Conservancy Fund, make the trip to a cheetah camp near the main center to meet a few cheetahs. After enjoying a unique opportunity to snap spectacular, up-close photos of these beautiful animals, you will be returned to the main center to participate in a tour of the CCF main facility. Today you will drive from Okonjima via Otjiwarongo, to Mushara Outpost, another addition to the Mushara Collection of exquisite accommodation establishments, situated just 6 miles from the Von Lindequist Gate of world-famous Etosha National Park. While at Mushara, your guide will be taking you into the Etosha National Park. 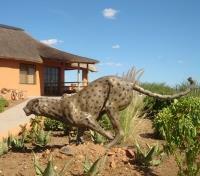 The Mushara Outpost is situated a mere 6 miles from the Von Lindequist gate of the world famous Etosha National Park. The Mushara Outpost accommodates 16 guests in custom made tent like structures, of wood and canvas which are nestled on the banks of an ancient dry river bed known to the locals as an ” omaramba”. The Mushara Outpost is all about old fashioned hospitality with warm, friendly and personalized service on the door step to the magical Etosha Pan National Park. 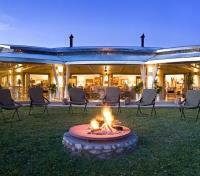 The lodge house is styled on an old farm house, tall walls, corrugated iron roof with a large wrap around veranda. 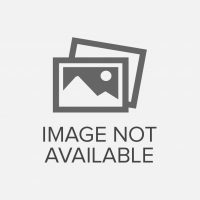 The ambiance is that of a well lived in house, friendly, extremely comfortable with a light feel to it. Game drives and daytrips into the easily accessible Okaukuejo area of Etosha National Park are rewarding, with sightings of lion, elephant, gemsbok, springbok, red hartebeest, and white and black rhino. Guests share a dedicated guide and 4x4, ensuring the best possible nature experience at one of Africa's great wildlife destinations. Game drives and daytrips into the easily accessible Okaukuejo area of Etosha National Park are rewarding, with sightings of lion, elephant, gemsbok, springbok, red hartebeest, and white and black rhino. Guests at Ongava Lodge share a dedicated guide and Land Rover, ensuring the best possible nature experience at one of Africa's great wildlife destinations. 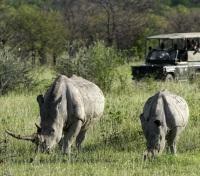 The Ongava Game Reserve is unique in that it is one of the few private game reserves in southern Africa where there is a chance of seeing both black and white rhino. For those who enjoy close wildlife encounters, tracking white rhino on foot with a guide is a highlight not to be missed. Meet your private driver for a transfer to Damaraland. En route, pass by the scenic Burnt Mountain, a panorama of desolation with colored rocks contrasting vividly against the grey-black surroundings. The Organ Pipes, a mass of basalt slabs in a ravine gouged out by a river, is another geological curiosity in the area. 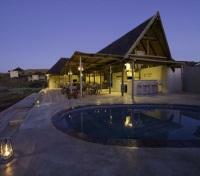 Arrive at your game lodge in the late afternoon. Approximate driving time is 6 hours. The Damaraland Camp is situated in the Huab River Valley, one of the most pristine wilderness areas in Namibia, only 90km from Torra Bay in the Torra Conservancy. Damaraland Camp is one of the country's best camps, with sensational views of the surrounding desert plains, ancient valleys and soaring peaks of the Brandberg Mountains. This camp is proud to hold the WTTC Tourism for Tomorrow Conservation Award in 2005. This eco-friendly construction of Damaraland Camp has merged new technology with ancient methodology in an incredibly inventive manner. 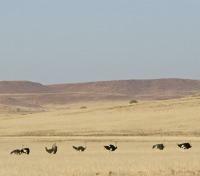 Another unique feature of this sustainable ecotourism venture is that it is owned and largely ran by the local community who has put forth their own distinctive optimism and cheerful nature into the Damaraland Camp experience. This unusual flavor comes from the mixed heritage of the local peoples. Accommodation at Damaraland Camp consists of 10 adobe-styled, thatched units each raised on individual wooden decking - part of which extends out to form a large viewing deck with magnificent vistas. Each tent has en-suite facilities (shower only), a walk-in dressing area and built-in fan. The spacious, thatched living area features a restaurant and bar, complete with fireplace. 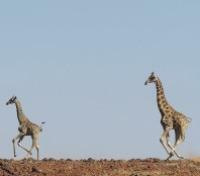 Guests can enjoy various activities at Damaraland Camp, featuring guided nature drives and walks. The delightful community comfort and hospitality will ensure you have a memorable stay. Activities at Damaraland Camp revolve around exploring the Haub River system, featuring guided nature drives, walks and mountain biking. 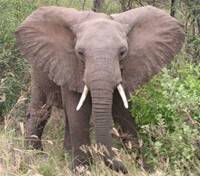 Morning and afternoon drives in search for desert-adapted elephant are a great favourite. 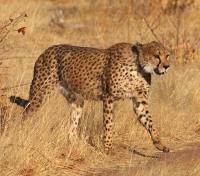 Gemsbok, greater kudu, springbok, and occasionally lion, cheetah, elephants and black rhino can be spotted. 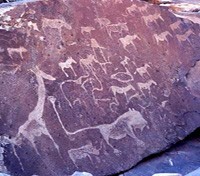 Interesting flora such as euphorbias and shepherd's trees can be viewed on the way to some of Africa's best known rock engravings, including the famous Twyfelfontein etchings. En route to Swakopmund, you will visit Twyfelfontein, which means “doubtful fountain” and resembles a large, open-air art gallery. This treasure house of rock engravings left by stone-age artists is regarded as one of the richest collections of rock engravings in Africa. South of Twyfelfontein is the Burnt Mountain, a panorama of desolation with coloured rocks contrasting vividly against the grey-black surroundings. The Organ Pipes, a mass of basalt slabs in a ravine gouged out by a river, is another geological curiosity in the area. Arrival at Swakopmund in the late afternoon. 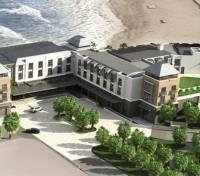 The Strand Hotel is located in Swakopmund, Namibia, surrounded on three sides by the Southern Atlantic Ocean. Its rooms and suites offer the finest uninterrupted sea views available anywhere in this quaint historic town. The Strand Hotel offers its guests exciting restaurants, bars and sea facing terraces, as well as a spa and fitness centre. Strand Hotel Swakopmund provides guests a warm Namibian welcome and stay. 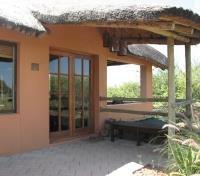 This morning you will meet your guide and depart from Swakopmund and drive to Sosseusvlei. This drive will take approximately five hours. This morning you will meet your guide and depart from Sossusvlei and drive to Windhoek. This drive will take approximately five hours.